Extensive products database, complete with search functions, category drill-down and suggested product. Zomix can handle your most demanding product lists with ease. Full shopping cart, shipping, credit card processing and Paypal, round out a full set of features in the Zomix e-commerce shopping cart. Reactive Mobile Website Design. 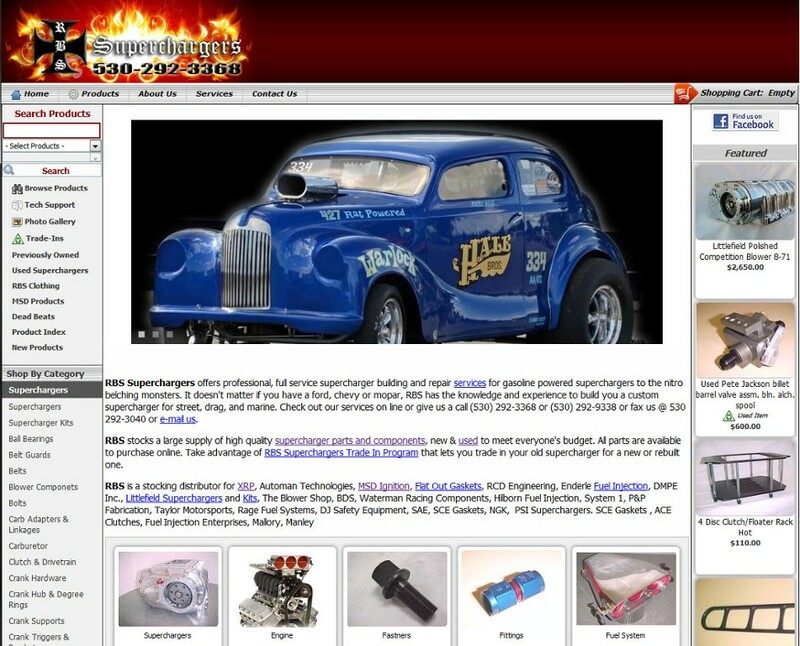 RBS Superchargers supplies parts and accessories to the Drag Racing crowd, both on land and in the water. RBS has thousands of new and used parts available online.